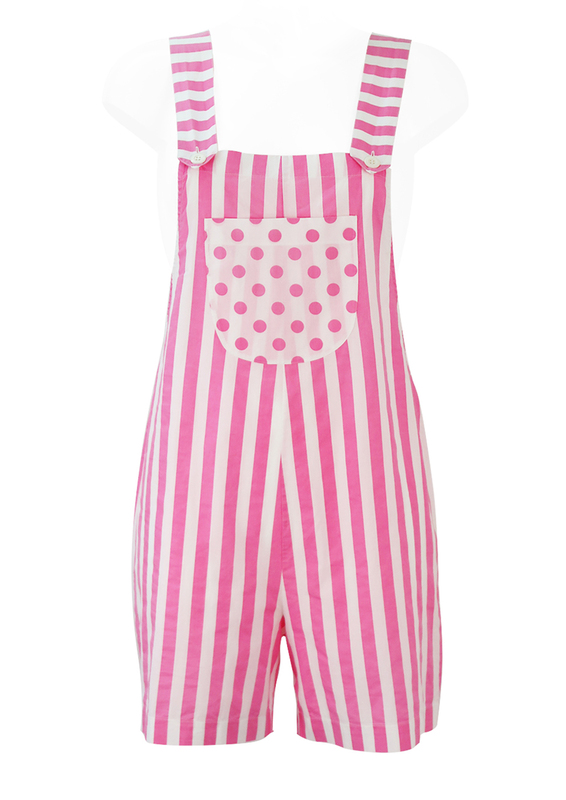 Super cute pink and white striped short dungarees with a polka dot patterned front pocket. The size label states a French 42 and German 40 which we have equated to a size S or a possible oversized XS. 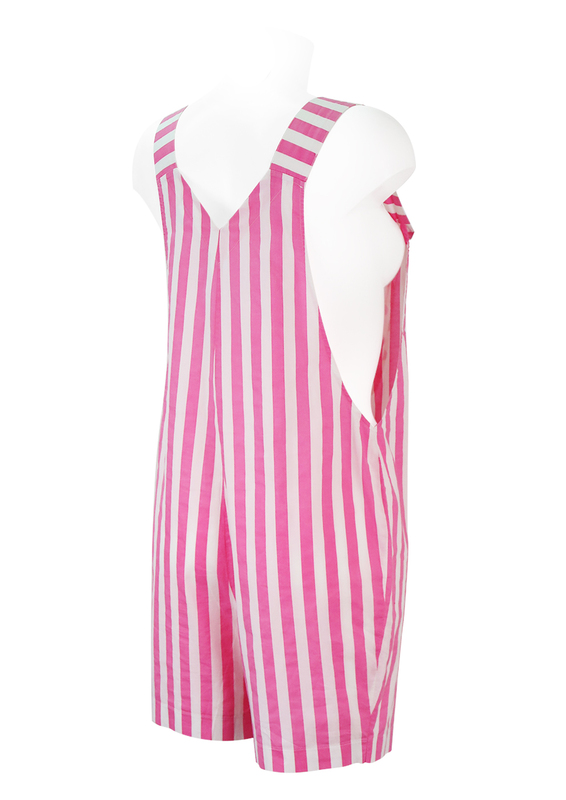 To assist with sizing we have provided two length measurements; one for the upper body which is measured from the top of the strap (as it sits on the shoulder) to the crotch and one for the total length which is measured from the top of the strap (as it sits on the shoulder) to the bottom hem of the leg. 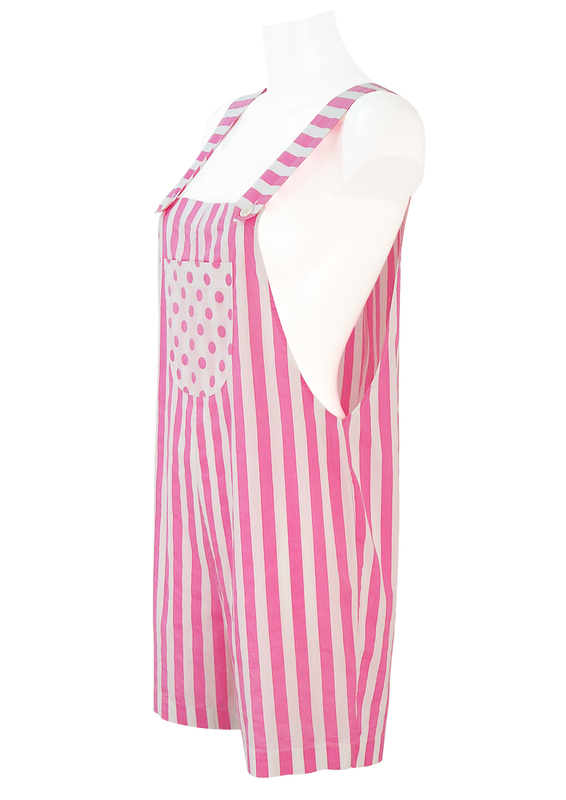 We have also provide a width measurement of the lower leg at the hem. 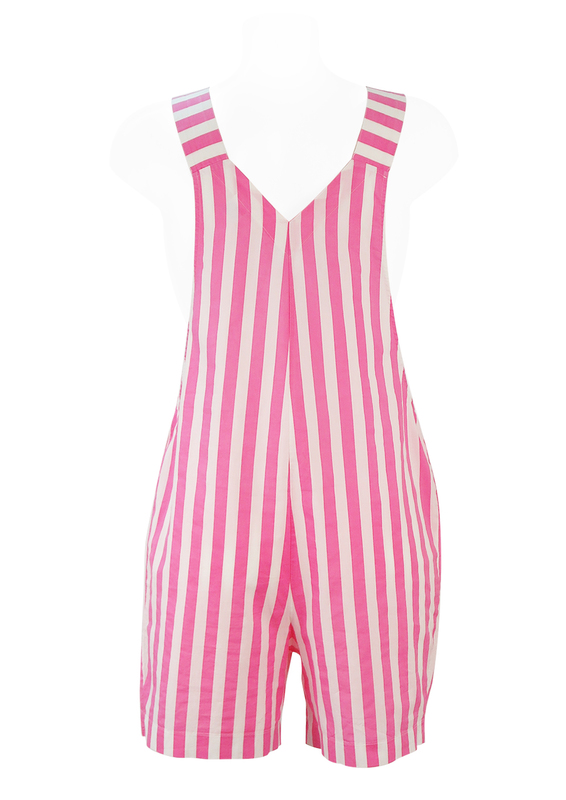 The waist measurement will appear larger than that of a standard size S waist measurement but this is due to the intended loose fit shape of the dungarees. 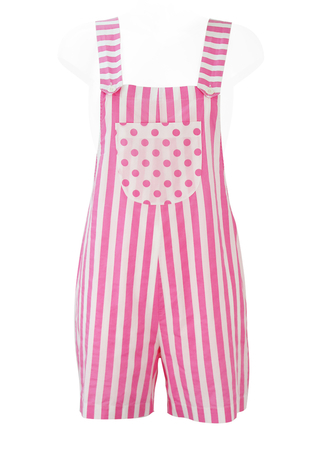 Although there is no fabric label, the dungarees have a lightweight cotton feel to them and are in excellent condition.